Vietnam: Investigate Police Response to Mass Protests. (New York) – Vietnam should halt unwarranted arrests and use of force against demonstrators who turned out throughout the country to protest long-term leases in special economic zones, Human Rights Watch said today. The government should release those detained for peacefully expressing their views and investigate excessive police response. Nationwide protests erupted last weekend in response to a draft law that would allow foreign investors 99-year leases, a provision critics fear would lead to Chinese companies’ encroachment on Vietnamese territory. Thousands took part in the demonstrations in Ho Chi Minh City, Hanoi, Nha Trang, Binh Thuan province, and other areas. Since the protests began on June 9, 2018, there have been hundreds of arrests as well as reported assaults by police. There’s every reason to believe that police are punishing dissent, not simply keeping public order. Dozens of protesters were detained in Ho Chi Minh City, including an American citizen who had tweeted about clashes with police and remains imprisoned. Authorities in Hanoi also rounded up over a dozen demonstrators onto buses. 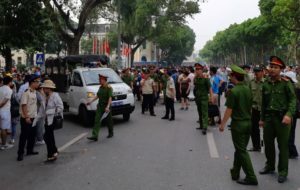 State media announced that several people were arrested for organizing “illegal” protests, including two men in Binh Duong province who allegedly printed thousands of protest flyers. Many of those detained were interrogated and later released, while others are still being held. Some activists reported being beaten during their time in police custody. The government should investigate and prosecute as appropriate any security personnel responsible for excessive use of force, arbitrary detention, or ill-treatment in custody in the wake of the protests. Any protesters being held unjustly should be freed. The protests were driven by concerns that the draft law would give China entrenched control of the special economic zones, tapping into longstanding anti-Chinese sentiment that has been fueled by territorial disputes over the South China Sea. On June 11, the National Assembly announced that the vote on the bill would be postponed until later this year, following revisions. Some demonstrators were also opposing a proposed cybersecurity law that gives authorities wide discretion to censor free expression and collect information on online dissidents. On Tuesday, the National Assembly passed the law, which will go into effect January 1, 2019. The mass protests were a rare sight in a country that severely restricts the right to freedom of assembly. Authorities require approval for public gatherings and refuse permission for meetings or marches they deem politically unacceptable. Surveillance, harassment, and detention are employed to prevent activists from participating in public events. At least 135 political prisoners are currently serving sentences for exercising their basic freedoms of expression, assembly, association, and religion. 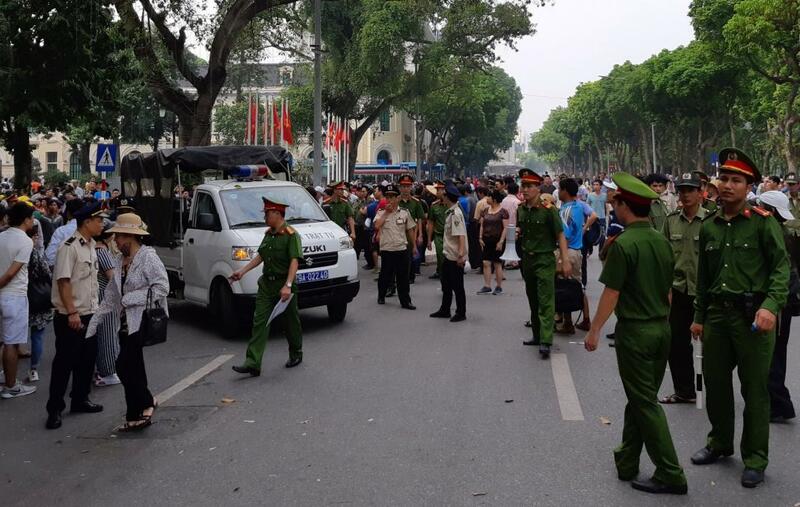 The Vietnamese government should ensure that security forces respect basic human rights standards on the use of force, including in dispersing illegal demonstrations. The United Nations Basic Principles on the Use of Force and Firearms by Law Enforcement Officials provide that officials “shall, as far as possible, apply non-violent means before resorting to the use of force.” When using force is unavoidable, officials must exercise restraint and act in proportion to the seriousness of the offense. The protests and sweeping police response are taking place as the European Union considers ratifying its free trade agreement with Vietnam. This article was published by the Human Rights Watch on the 15th of June 2018.